A book in English that explains what is going on in the beautiful and ailing country of Italy is certainly timely. The country’s economic position on the perpetual edge of default is hard to reconcile with the glamorous bella vita image that it projects. John Hooper, in his entertaining and revealing new book The Italians, examines an entire culture, its history and complex politics, making connections between past and present and providing a comprehensive image of “Italians” that sheds light on many aspects, but still leaves us somewhat in the dark about the real reason we’re in the mess we’re in. Hooper, Italy correspondent for The Economist and The Guardian, would be a good dinner guest. Or at least that’s the impression I get from his book, which reads like a fascinating dinner conversation. Sections on the country’s early history, religion, the attitude to women, and the mafia are probably those that hold together most tightly. At other times, I found myself being pulled along a less linear path, spotting themes as they weave their way through the book. Perhaps the best way to understand The Italians – both the book and the culture – is by looking at certain recurring themes. If you’ve spent even just a semester in Italy, you’re probably familiar with them. Hooper’s genius is that he sees how they connect to other, more important things, either in history or in recent economics and politics. 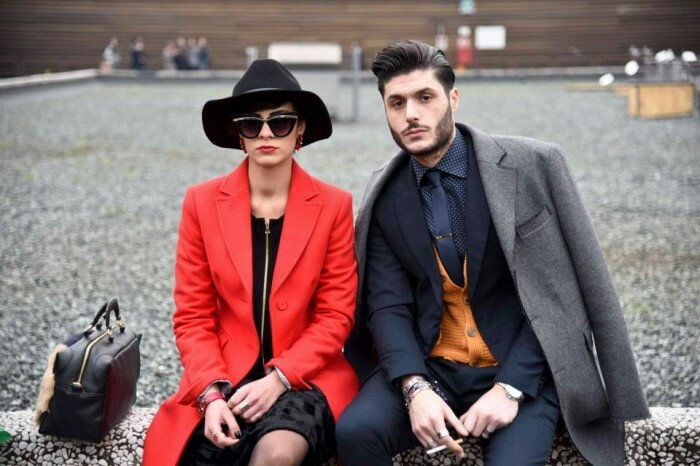 For example, we all know that Italians are famously well dressed and on the average more attractive than other populaces. What appears to be vanity, however, goes deeper. Appearances are assumed to be a representation of something else (p. 75), a code to be decoded. On the one hand, endemic sunglass-wearing Italians are the modern descendants of Castiglione’s courtier and his sprezzatura (p. 188); on the other, bella figura, or “coming off well”, is symptomatic of an underlying insecurity (p. 85). The theme of beauty or appearances crops up throughout the book as we start to build an understanding of what we see around us. Another example of a theme that dominates The Italians is tradition, and by summarizing just some of Hooper’s logic on this theme, I hope to provide you with a reasonable review of the whole book. What attracted me to Florence in the first place, as an art historian, is its history and the way this history continues to be strongly present today. Formal traditions like processions on holidays mix with quirky ones like the way Italians insist on cleaning windows with newspaper rather than paper towel. 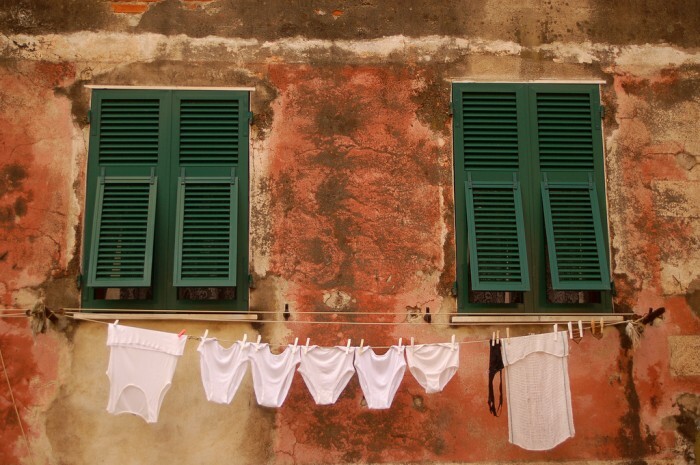 There are also annoying traditions like hanging laundry outside rather than using a dryer, though conversely, this is one of the most charming things to photograph in Italy. The lack of cheese variety is connected to two other themes: mistrust of foreigners, and resistance to change. As for us foreigners, Hooper blames the past: for millennia, Italy looked like a good place to invade, and the peninsula was constantly fighting off invasions from every direction. “A people with a history like that of the Italians cannot but have a somewhat ambiguous view of foreigners,” he states, with the interesting correlation that they have a “fatalistic acceptance of the idea that it is quite normal for crucial decisions on the future of the country to be taken by foreigners,” (p. 30) something timely as we see Germany’s leadership in the EU dictating economic policy here. Mistrust of foreigners also involves their foods, which leads to good things like a prevalence of local (fresher) goods but also, alas, my lack of cheddar. Change is another thing that Italians don’t seem to like very much, although I recently observed how Florence has changed relatively a lot in the past 10 or 15 years that I’ve been here. “Various explanations have been put forward to explain the Italians’ love of the familiar and mistrust of the new,” says Hooper (p. 106), including the fact that the country is particularly prone to natural disasters (lately we’ve seen one too many massive flood and earthquake). Another factor is the aforementioned history of oppression and violence, mostly from foreigners. The occasional attempt at radical change, like when Mussolini seemed like a good idea, backfired rather massively. So now, change takes place only after careful orchestration. And to make sure the balance of power never swings too strongly towards any one figure, power has been divided up amongst more political parties than you can count, creating a series of “checks and balances that served to block drastic reform” (p. 108). Another way that “tradition” or inertia continues in Italy is due to mammismo, the peculiarly strong relationship between spoiled sons and their mothers. They say mammismo is the reason so many Italian men live with their moms until they are forty, but recently there’s been an upsurge in generational co-habitation for both genders. This is due both to the sluggish university system (with its courses taught by over-65s) and to the incredibly bad job situation for new graduates. Faced with no stimulating job options at age 25 and parents who don’t kick them out, university grads opt to stay home while waiting for a good opportunity to come up, not contributing to the economy while enjoying the perks of mom’s cooking and laundry skills. Italian parents, despite the fact that you’d think they would be strict Catholics, seem pretty lose with the rules (especially for their boys), which is what made it possible for me to spend months cohabiting in my then-boyfriend’s bedroom. Treated more like adult renters who don’t pay or do laundry, you can see why they are happy to stay home. Hooper demonstrates that “cohabitation between the generations holds the country back”, based on the results of a 2005 study that concluded that the main advantage to parents of having their children at home for so long is that they could better impose their own ideas and precepts. “Imbued with the ideas of a previous generation, bamboccioni are less likely to launch initiatives of their own, whether they be dot-com start-ups, sandwich delivery businesses or garage bands.” (p. 181). No punk music, but also no real revolts, other than the carefully staged “student protests” that take place regularly and involve chanting, from 9am to noon, absurd songs like Pink Floyd’s Another brick in the wall – if their English lessons were better, they’d not be singing “we don’t need no education” when supposedly calling for educational reform. The theme of tradition crops up throughout the book, not only in the spots I’ve noted here. 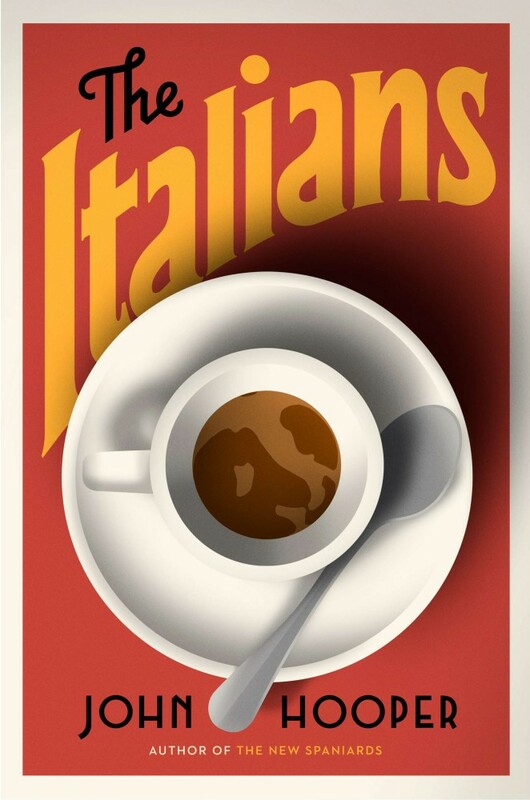 Combined with other themes, and weaving in and out of past and present, the reader gradually enjoys a greater understanding of “The Italians” as a people. These points are, of course, generalizations, though Hooper is careful not to make sweeping ones, and is very conscious of regional differences in particular (another major theme in the book). There are, for sure, exceptions to these general rules. Italians who marry foreigners, who love ethnic food, who travel widely, who let their children think for themselves, who love air conditioning or create start-ups. But holding together this web of complex relationships is an overarching structure, a political and social structure that has evolved through history and nature and that keeps the vast majority of Italians from breaking free. With thanks to Viking books / Penguin Random House for the advance review copy of the book.